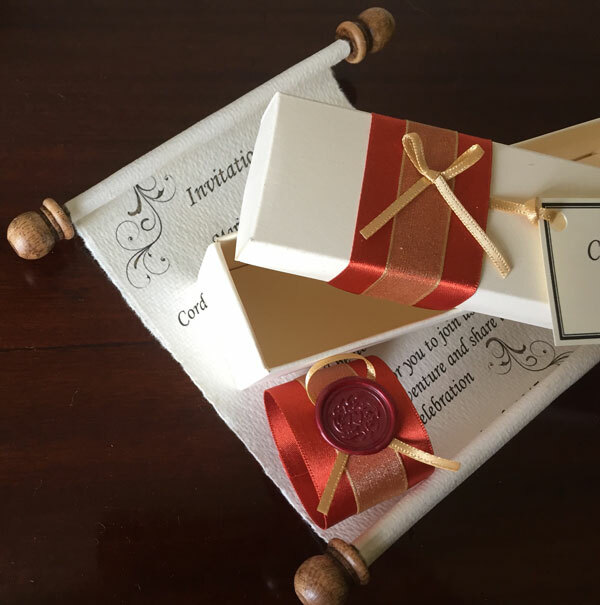 Trinitybox scroll invitations provide an opportunity to really get people talking about your event as they are something a bit special and unique. 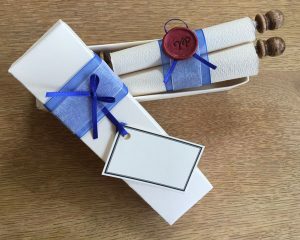 They also become a talking point as to what the colour theme, or style of your Wedding, Christening, party or other celebration might be. 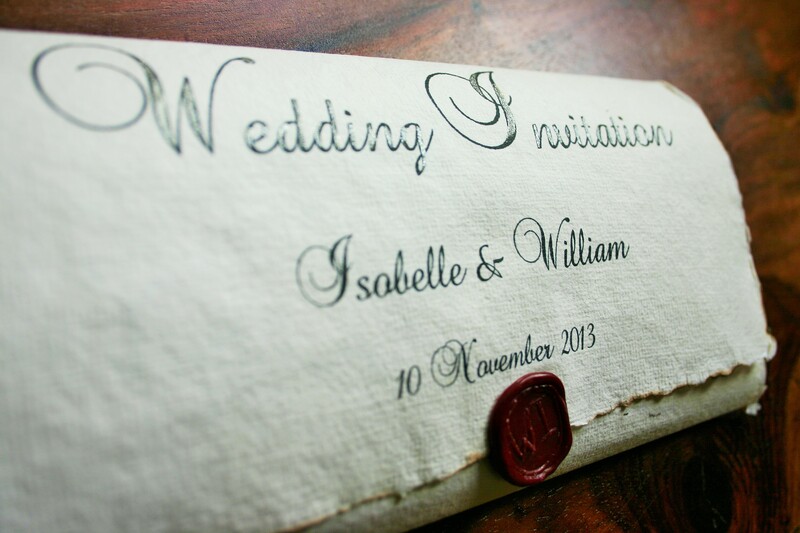 They are classic, elegant and beautifully made. 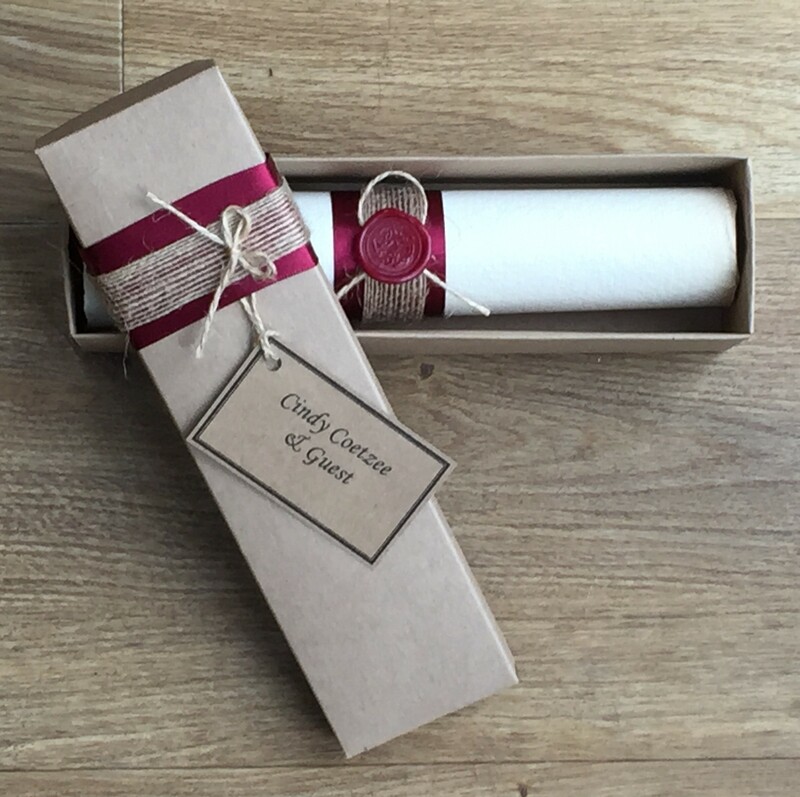 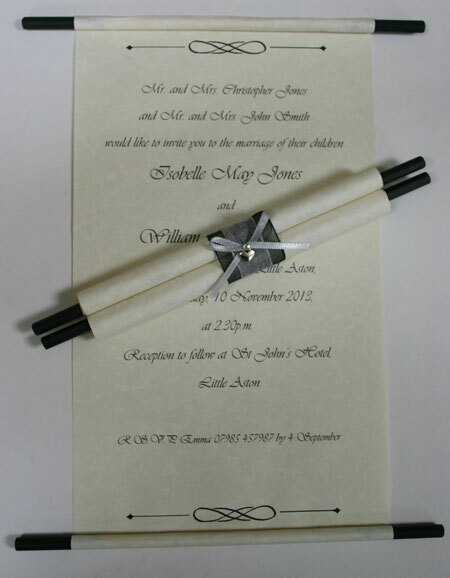 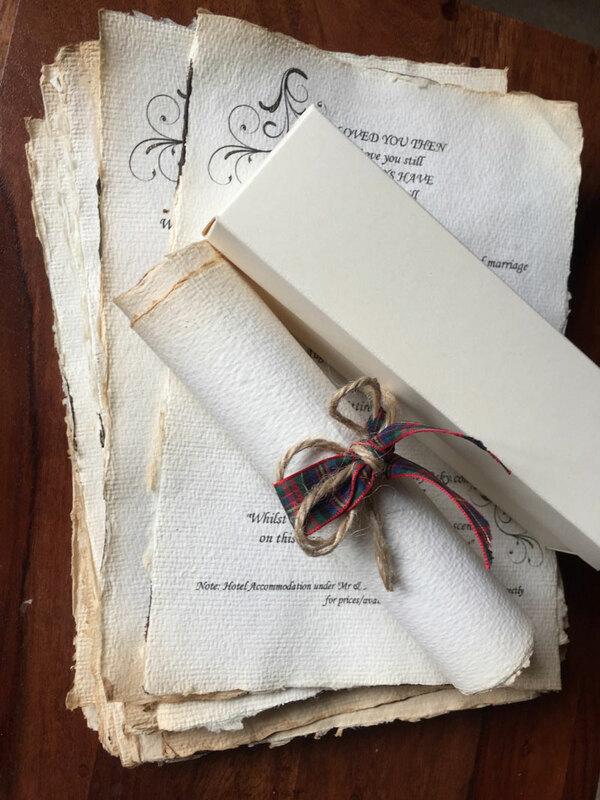 Please see my Wedding scrolls page for examples of many more Wedding scrolls ideas, from the Wedding proposal to a thank you gift scroll for your guests when they leave. 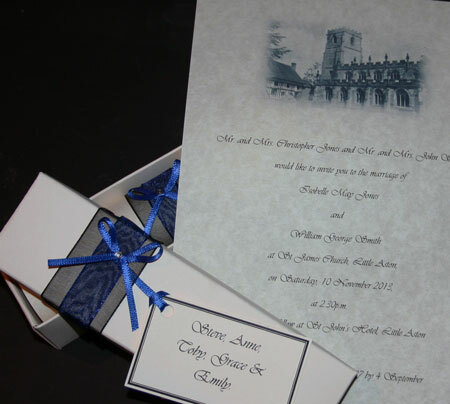 Each invitation is bespoke to you; I will work with you to achieve the exact look and feel you would like for your event. 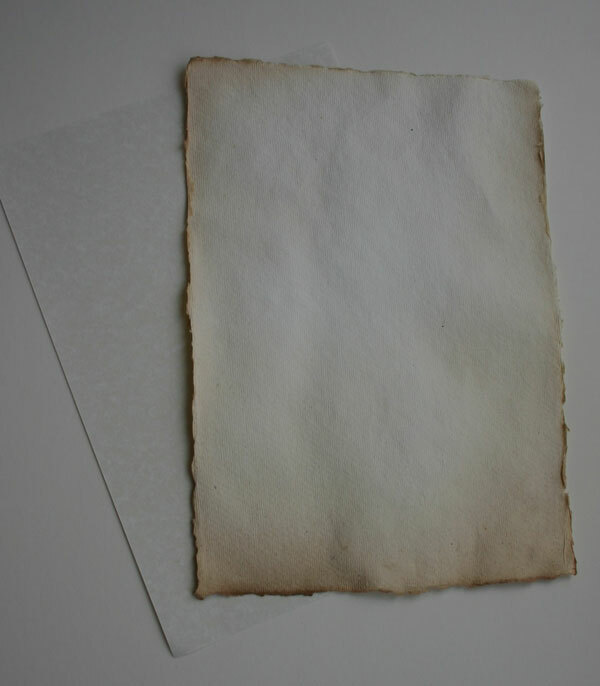 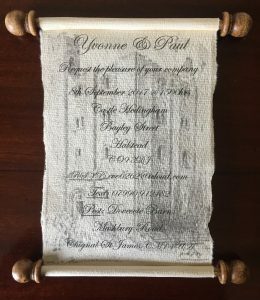 The paper choice is either a pretty parchment for a classic feel, or an aged, hand made paper for a more aged feel, perfect for castle or vintage style weddings and events. 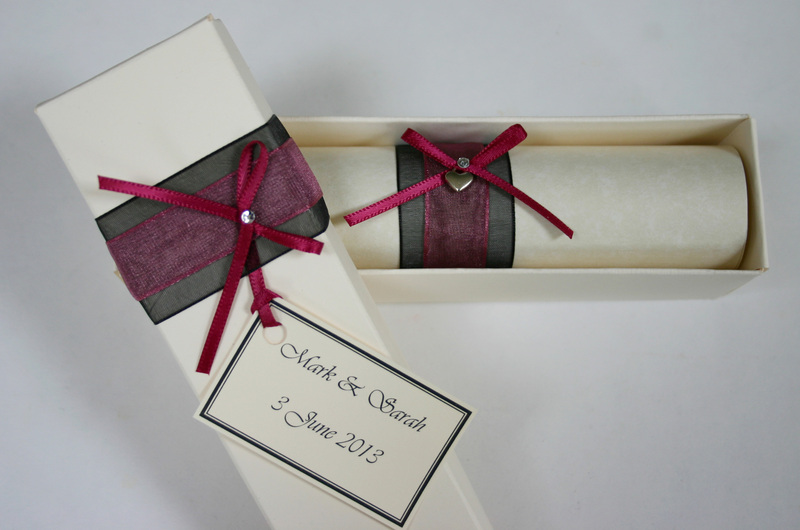 The ribbon colour is your choice, feel free to email me a photo of the exact colour you would like for this. 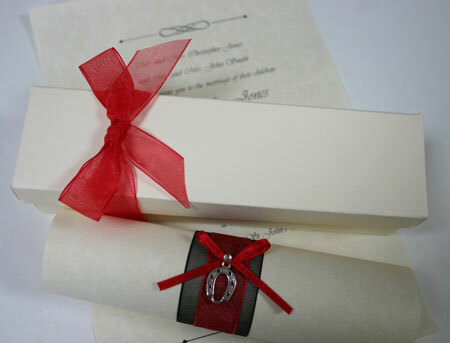 The ribbon can be decorated with either a charm or wax seal. 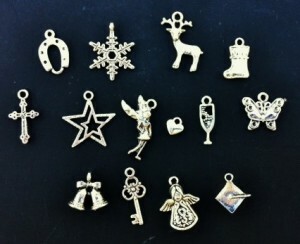 I can order in any charm (around 2 cm) if you would like something different to the ones picture below. 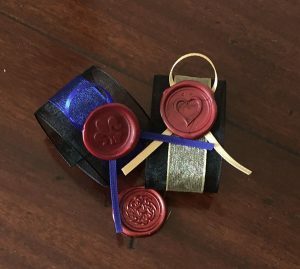 There is also an option to have your wax seal custom engraved with your initials. Below are some examples of invitations I have done in the past. 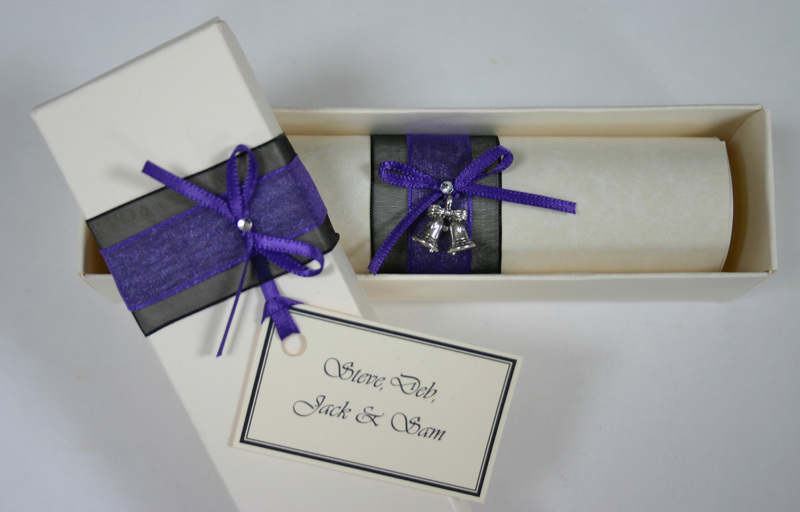 For orders over £40, a 25% deposit is required at the time of ordering. 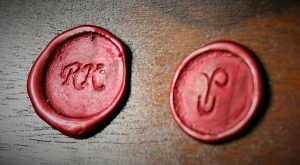 The balance will need to be paid in full 8 weeks before the agreed completion date. 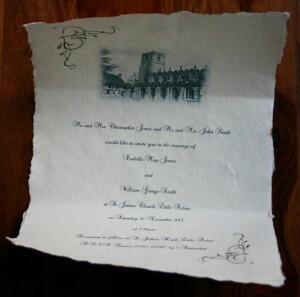 The full amount will need to be paid if the date of completion is 8 weeks or less. I accept payment by BACS (payment direct into my bank account), or Paypal. 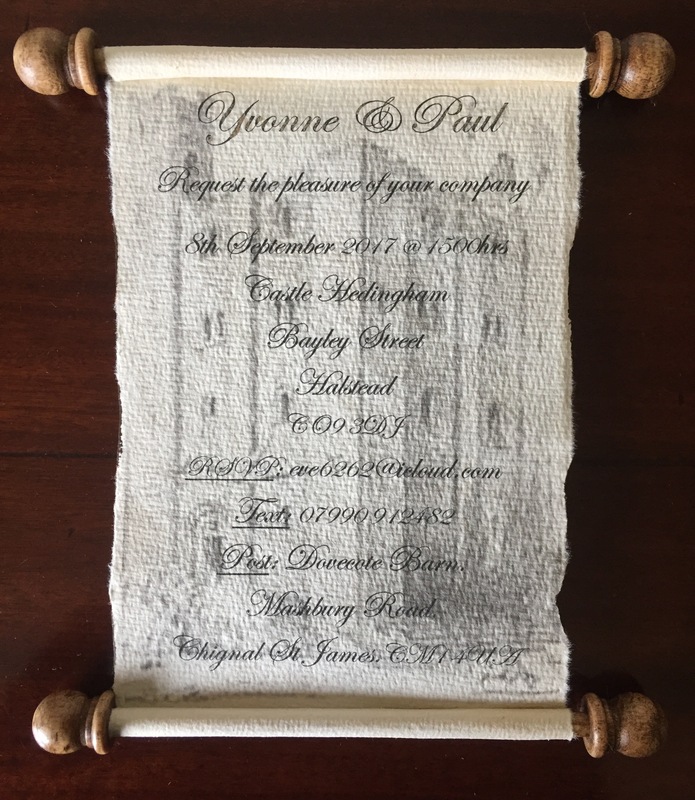 Please email me if you would like more details or if you have any queries at all and I would be very happy to help.